Shouldn't The Ascent of Isaac Steward now be showing as in stock? Waterstones and The Book Depository show it as now available. Dear Mr French. Your title is currently displayed as 'Temporarily Out of Stock' as we do not at present hold any physical stock of your title in any of our warehouses. Customers are still able to place orders for titles that are shown as 'Temporarily Out of Stock' on the website and we will dispatch these orders once we receive new stock. And on both sites shows as temporarily out of stock. On the UK site there have been quite a few advance-orders over the last month or so, none of which have been received by customers. I'm sorry for any inconvenience caused. I'd like to help you about the availability of your book on Amazon.com and Amazon.co.uk site. 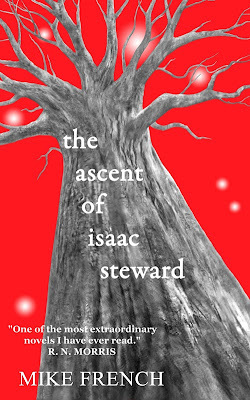 I've checked the inventory of your book "The Ascent of Isaac Steward" and I've confirmed we have not received inventory from your publisher, and have requested our buying team reach out to your publisher to submit a purchase order for your book. Once that purchase order is filled and we receive the inventory, your book will be listed as "In Stock." Thanks - did the buying team ever reach out to the publisher for copies before as I would have expected them to do this ages ago to fulfil the advance orders - this is the reason I think it doesn't show as in any of your warehouses. If this is the first time they've done so then something must have gone wrong and I have a lot of customers contacting me to ask where their orders from Amazon are. If that's the case then I'd appreciate any speed the buying team can manage to place the orders before people start cancelling their orders. Hello Mike. I understand your concern regarding your book availability. Please understand that our buying team already started their process to contact the publisher to submit a purchase order.At this point, I recommend you to wait till 2-3 days for an update from the publisher as well as from the buying team. I'm personally following up on this issue and email you back as soon as I hear back from the buying team within 1-3 business days. We really appreciate your patience and look forward to seeing you again soon. Therefore, I'd recommend you to wait for few more days and also check our website and check with the Ingram Book Group or Lightning Source. I hope this helps. We won't be able to provide further insight or assistance for your request. "I've confirmed from the buying team that the purchase orders will be generated in a very short time (since the item was recently released.)" "Please understand that our buying team already started their process to contact the publisher to submit a purchase order." On the 6th July. How long does it take? And the book was released on 24 June which was over 2 weeks ago. Really this is unbelievable. How do you want me to respond to all the people asking where their books from Amazon are - "well you have to be patient and understand that Amazon haven't even asked for your order ( some over a month ago on advance order ) to be shipped from the publisher to them yet." I see that my novel is still listed as out of stock and orders still haven't been met. Before I contact people that have ordered to update them on the delay can you clarify that this is a delay by the buying team ( which seems strange doesn't this just involve the buying team hitting an order request somewhere and the books would be dropped off to Amazon overnight? ) or is it more complicated than that and there is a problem at Lightning Source which means the buying team can't or are having difficulties raising the order? If you could confirm as I don't want to misrepresent Amazon in any way when I blog about it at my literary magazine The View From Here. The silence your side isn't that helpful I have to say and not what I'd expect normally from Amazon. Can you at least give me an estimate of when the buying team will generate the purchase order? Sometimes I am almost in despair. All that sustains me is the conviction that our Realism, our rejection (in the face of all temptations) of all silly nonsense and claptrap, must win in the end. Meanwhile, I have you to settle with. Most truly do I sign myself. How extraordinarily frustrating for you. You'd think with advance orders that Amazon could get it's act together. The last thing you should have to worry about at this stage is order fulfillment. Gah! I pre-ordered my copy from the Book Depository in early June, and got an e-mail on the 29th saying it was going to be available imminently. My copy arrived a few days later. The Amazon listing said "Temporarily out of stock" but under "buy new" there was a book depository entry (so I ordered directly from there). Not sure what will happen if Amazon is allowed to buy Book Depository. I have just bought the Kindle version as well (I have a very long reading queue). 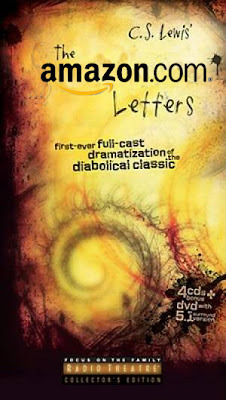 Glad you got a copy Pierre - yes The Book Depository can deliver it no problem - sorry you had to wait a while to get one. And that was quick off the mark with the Kindle version it's only just gone up there! What a deeply, deeply frustrating story. Arghhhh. I was feeling stressed for you, just reading it! Good luck and I hope you recoup any possible lost sales tenfold. Maybe Amazon were just too busy with proper books, not vanity-published material of little general interest, which won't make them any money? Clever way of getting publicity - I must try it with my books! You are not alone. Something has happened at Amazon lately, and/or between Amazon and LSI. It's difficult to know what because you have now experienced the Amazon Wall of Silence that so many of us publisher meet when trying to solve issues. Many publishers and authors who use LSI have had their "In Stock" status turned to "Available in 1-3 weeks" or other non-stock status messages. This is a marked change form the norm, when a book would list as in-stock after a week or so, or after initial orders were made. Plus, Amazon would often refer to a book as being "In Stock" (even if they had no physical copies) because any orders could be instantly printed and fulfilled by LSI, and the customer receiving the book with 2 days. LSI, when contacted about all this, only state they are aware of it and are striving to fix the problem, since LSI automatically provide the data Amazon uses to fill its listings. Clearly there is a problem between LSI and Amazon and no-one is willing to talk about it. It's reckoned that up till now, with Amazon offering discounts and free shipping, they have been losing money on most sales of books. Whether that has a bearing on things or not, I'm not sure. and hi Anon(s) thanks for leaving a comment, completely agree vanity publishing is border line criminal and little better than a scam. This book however is published through a legitimate publisher who I can assure you that after years of banging the drum here at the magazine advising against vanity publishing ( and self publishing unless it's just for friends and family)is not a vanity publisher nor me self publishing under a company name I've created. Yes I've dug around a bit and read similar stories Jim, it does seem that maybe hurting the authors and publishers using LSI is seen as collateral damage that Amazon is willing to accept in whatever is going on between them and LSI. I feel the need to add that your book is now listed as "in stock" at Amazon -- Only 5 left in stock--order soon (more on the way). Thanks Pierre that must have just gone up - thank goodness - well here's hoping they've sorted themselves out. Very frustrating for authors and for publishers. Hang on. You got a response from Amazon? And it was an actual response to a question you asked (rather than a generated auto-response that doesn't really answer the question)? And then you were able to follow up, and they continued the discussion (at least, to a point)? How did you manage that? I've written to various Amazon addresses on several matters, and never had any indication that they were read by a human being, ever. You lucky so and so. Way to go, Mike! I'm with ianrandalstock on this: getting Amazon to respond to you as a writer is almost as amazing as The Ascent of Isaac Steward. Someone there must have realized: they ignore you at their peril! More to you. Big up! Ian & Kathleen : heh heh - you should see my letters with Obama. Obama says hi back Catherine!